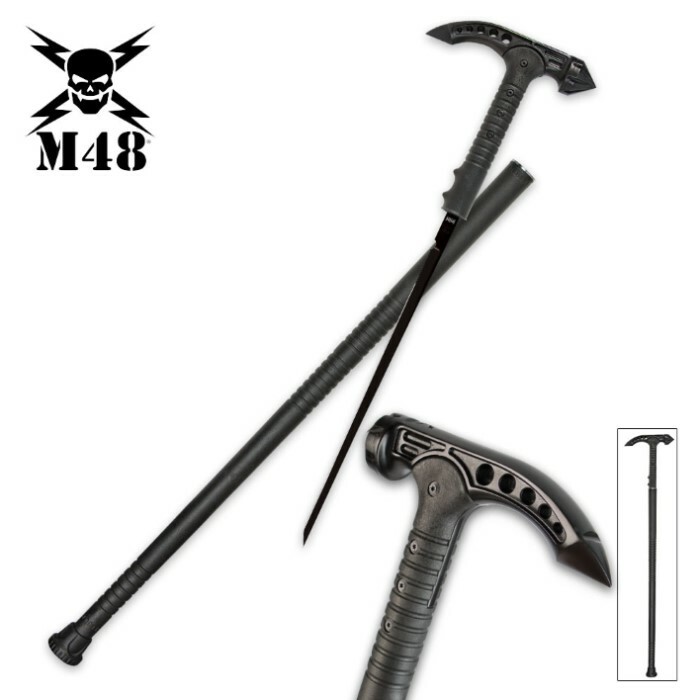 You get a powerful and capable self-defense weapon with the new M48 Sword Cane. It is sheer, sleek perfection in one discreet package. 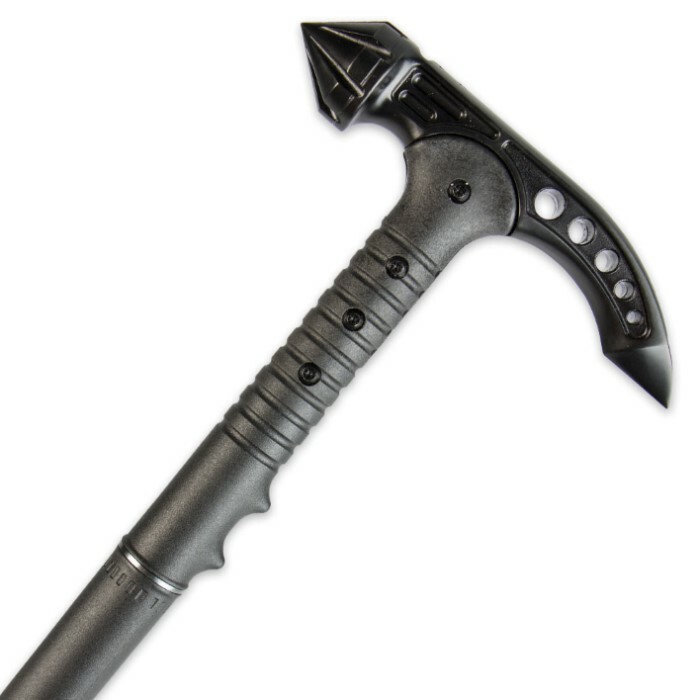 It features a 2Cr13 cast stainless steel handle with a black oxide finish and a nylon fiber grip. The the shaft is of sturdy nylon fiber, too. Housed within the shaft as your second line of defense is a razor sharp 17" SK5 carbon steel black-coated blade. The cane also has a slip-free toe and is 37" in overall length. 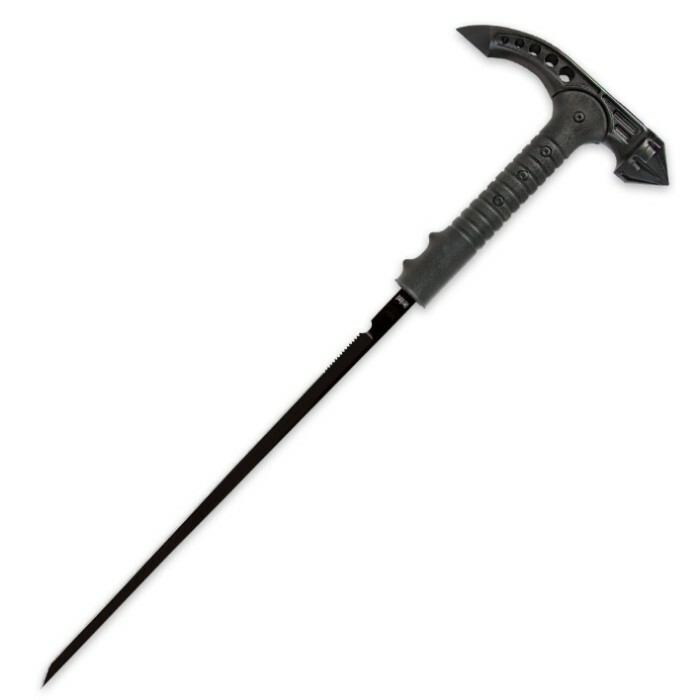 Would get this in a heartbeat if they brought it back. I purchased this, when it was the "Steal of the Day" at around fifty bucks. Moreover, it was a 25% off sales day. So, delivered, it was around fifty-two dollars. For that price, it's a five star .. but, at the normal price, it's three or four. It's rather top heavy. However, having a war hammer head .. that is only to be expected. The blade leaves quite bit to be desired. However, even with that .. it's decent enough. For any serious collector of sword canes, they should probably pass. However, for someone that buys a bunch of different items, because they are out of the normal .. You have to add this .. It is, for the price, one unique little acquisition. Cheaply made, My son and I went to a friends junk yard to test it on breaking a car window. It broke the on the very first window. using it as a hammer the head flew out of the cane and the blade broke off.. All in one swing!!! don't waste your money on this "Powerful and capable self-defense weapon" I have searched the web site and can't find anywhere that you can return defective products. The customer reviews on this product are blank I will be looking to see if this one makes the cut.